Why do I blog this? I just found nice this picture of old keytags (taken last week in Nice, France). To me, it's very evocative of the passage of time and how design evolves. 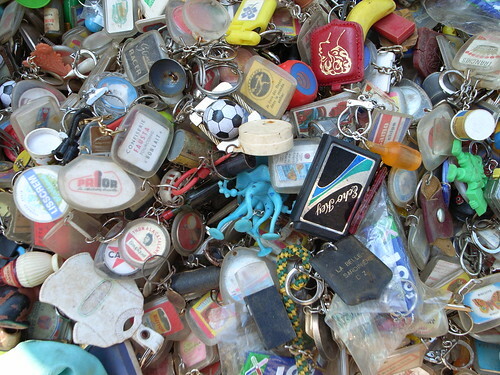 In addition, think about the value of objects and how this little artifacts made sense in certain period of your life: this bunch of keytags is then full of history that we can never parse since the owners are gone. Maybe it's too poetic here and a pessimistic mind would say that they're just promotional garbage that has been left out. But still.